Sneak Peaks of Stainless Steel Fountains . . . coming this spring! Anatomy of a wire sculpture . . .
on commissioned artwork . . .
on naming a sculpture . . .
On sketching technique . . .
On unintended, but happy, outcomes . . .
Over the past several months I’ve focused on the creation of new work for exhibition at the Brandywine Festival of the Arts this September 8 and 9 in Wilmington, Delaware. 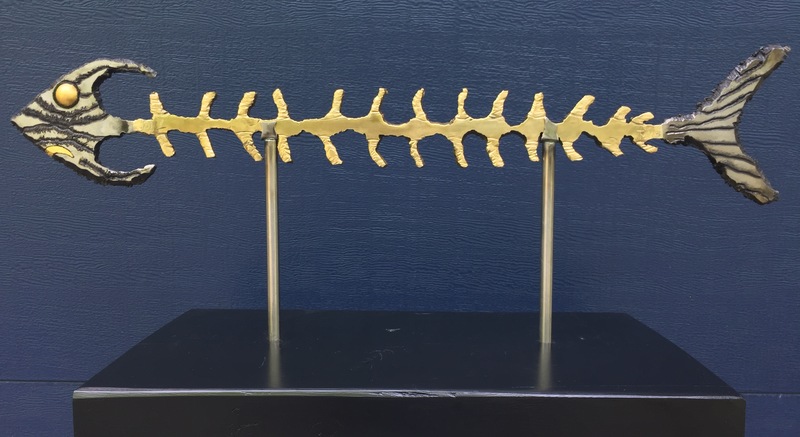 Much of this new sculpture is made of copper and bronze, but I also completed my first oil painting. 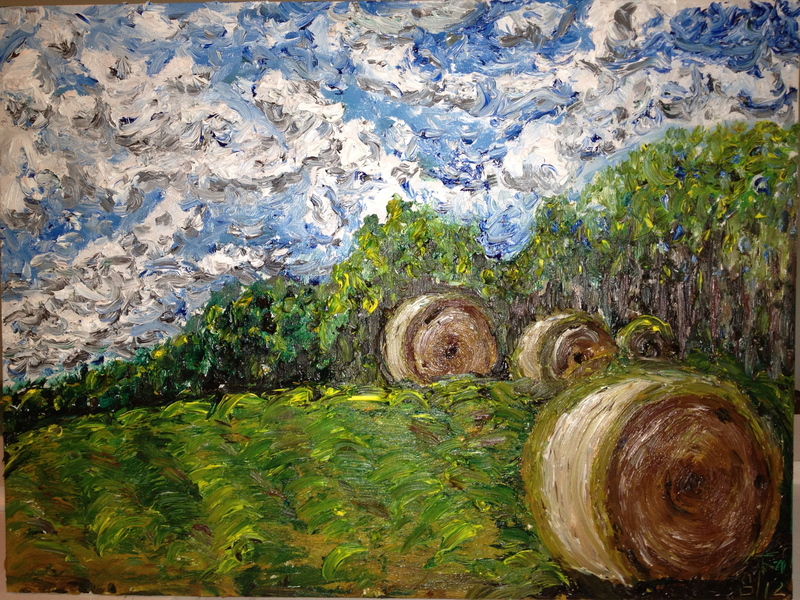 This oil painting, titled The Last Bales, was painted plein air in a Michigan hay field. It was my first experience painting with oil and only my second experience painting. In my first painting, I used acrylic paints. I find that acrylic and oil paints differ markedly in response, vibrance and application. Each has its merits and drawbacks, but to my eye they are rather like comparing incandescent light to LEDs. While I really like the result of my first acrylic painting, I prefer–at least so far–the incandescence of oil to the acrylic paints. My next painting will be oil again and I think I’ve found another stunning plein air site here in northern Michigan. There is a small image of The Last Bales just below, but you can see a large image of this work and read how the painting got its title at Featured Work–The Last Bales. There you’ll find the short tale and a slideshow with some images of the artist, the plein air site and the painting. Curiously, you’ll see no images of the hay bales save for those depicted in my painting. You can read why at the Featured Work–The Last Bales. To see my first painting in acrylic click here-First Acrylic Painting. 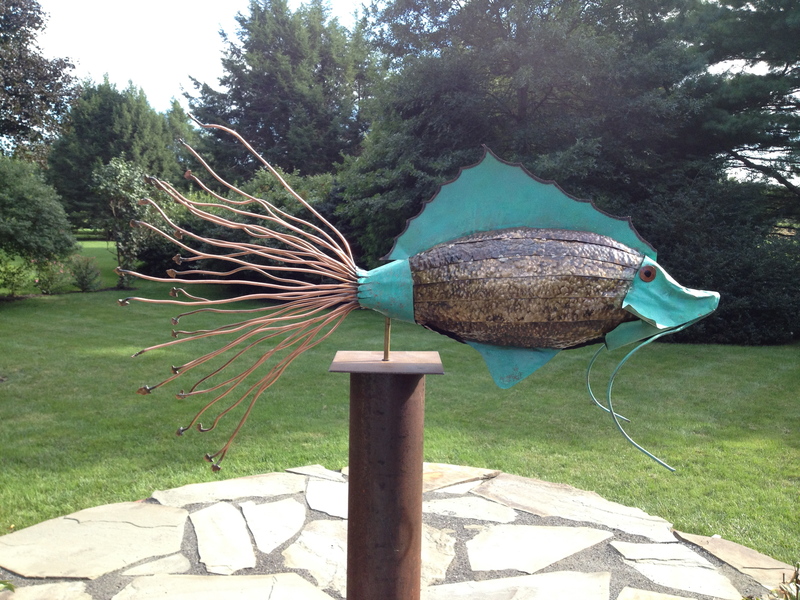 As for new sculptures, I am pleased that there are many, but I have featured only one at this time. [More to follow in future posts for certain.] 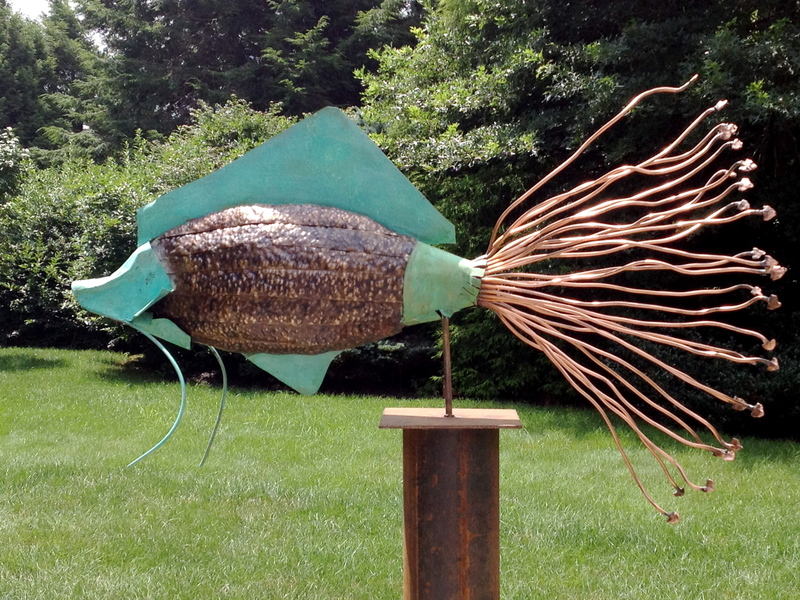 This Featured Work is Catch of the Day, a four foot long fish made of bronze and copper, attached to a stainless steel framework and mounted on a pivot permitting the fish to spin. An image of Catch of the Day can be seen below. The creation of this work is more difficult to describe than it is to picture so I invite you to go to Featured Work–Catch of the Day. 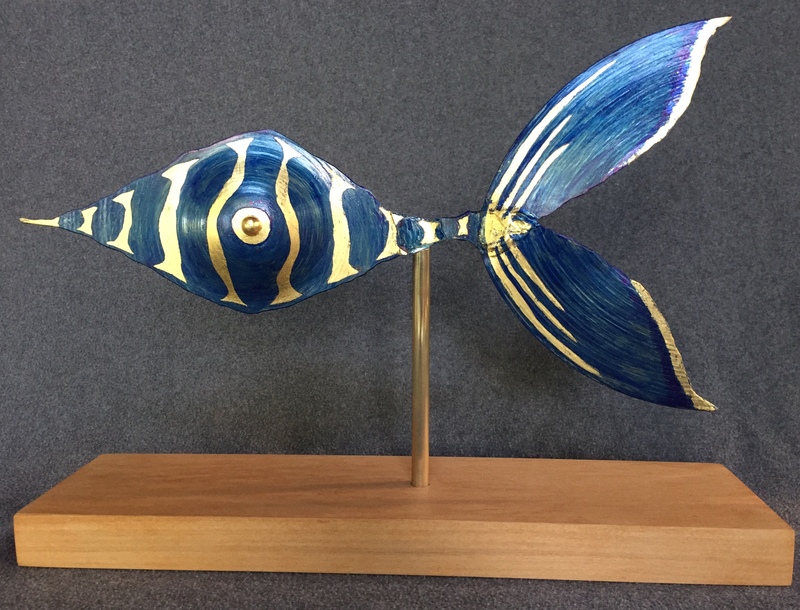 There you can read of the fish’s creation from inspiration to sketching to sculpture. Plus see a slideshow showing various stages and steps in the process leading to the creation of this sculpture. Thanks for visiting my website and perusing at my work. I look forward to hearing from you. Subscribe to get future sculpture images! Enter your email and get a notice when I post a new sculpture image. ...now click here to get sculptures! For the past two and a half years . . .
From New Hope to New York . . . and back again! Four New Works For New York! All images and designs copyright 2012 Tom Martin.